ILLUMINATION engineers are well aware of the deplorable fact that no device wastes energy like an electric light. Only 4 to 5 per cent of the “juice” is transformed into light, the remaining 95 per cent being wasted in useless radiant heat. Now comes a Swiss engineer with an invention which puts the wasted energy to useful work. 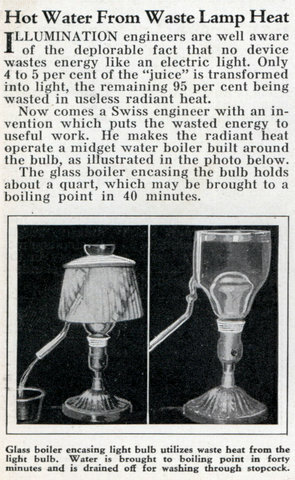 He makes the radiant heat operate a midget water boiler built around the bulb, as illustrated in the photo below. 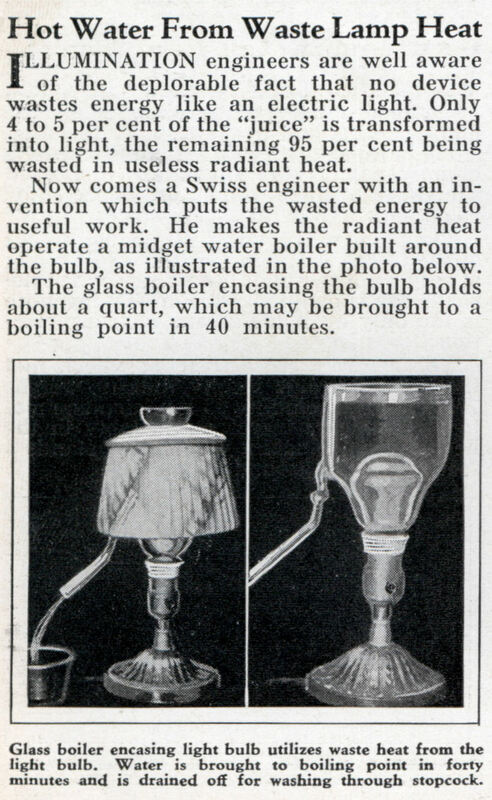 The glass boiler encasing the bulb holds about a quart, which may be brought to a boiling point in 40 minutes. 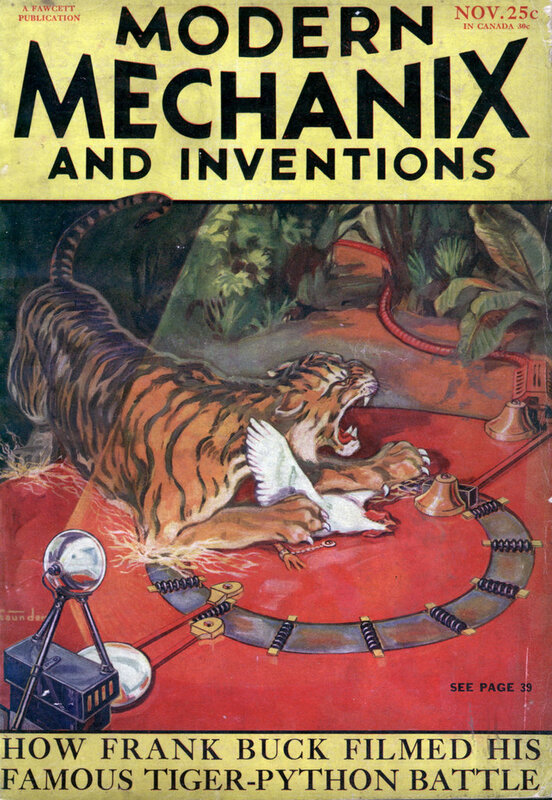 Hot water maker from lamp heat invention – Modern Mechanix 1932 – Link…….